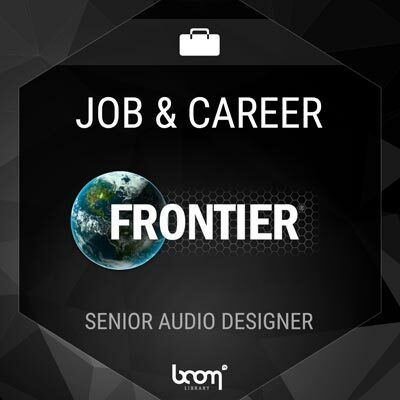 Frontier is looking for an experienced and talented Senior Audio Designer to join their growing audio team in Cambridge, UK. Interested? “Frontier Developments plc is a developer and creator of best in class computer and video games. Frontier publishes its own IP, Elite: Dangerous, Planet Coaster and the recently released Jurassic World Evolution. Frontier is looking for an experienced and talented Senior Audio Designer to join our growing audio team in Cambridge, UK. You will become a key member of the audio team, delivering world-class audio to millions of players worldwide. High level of ability and familiarity with DAWs such as Reaper and the integrated use of plug-ins and virtual instruments. Ability as a team player; who can bring energy and momentum into a team. Have a passion for audio and drive to make our games sound great. A qualification in music tech/sound design or a related field. “The successful applicant will possess the ability to hit the ground running and demonstrate a broad knowledge of both computer game audio issues and sound design methods, will have experience with sound production tools and game audio engines, and will be a pro-active communicator with a passion for games and interactive audio. We are unfortunately not looking for applicants who wish to work from home, or on a freelance basis.